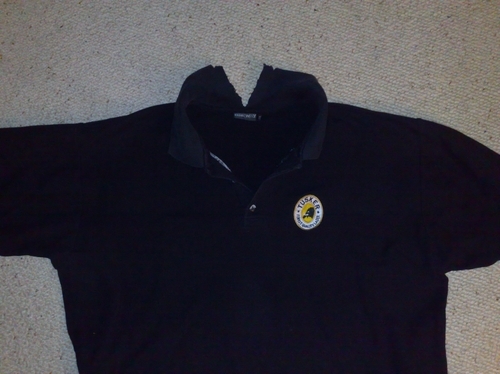 No, seriously – what you see here is my broken Tusker polo shirt. 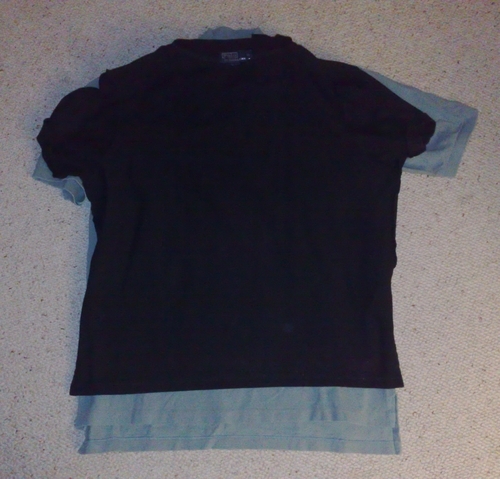 Bought this One-Way XXL shirt sometime in 2006 and after only 4 months in use, the collar suddendly fell apart. Obviously, there’s something to the one-way name that didn’t quite appear to me when I coughed up the mbeca for this Tusker goodie. Also, “XXL” is meant to be read: “this shaat will shrink once you hand-wash (!) it at 30°C”. A tailor in Embu even tried to fix it the other day but it just wouldn’t work. Apparently, the collar went into early retirement. I am the polo shirt guy. That’s why you’ll hardly ever see me in t-shirts. BarCamp Nairobi shirt? Africantees.com? Naaa….no polo shirt (no collar), no deal with JKE. Actually, I just bought this polo shirt because of the TUSKER logo, but then: I wouldn’t mind if there was “JKE” on it instead, as long as it comes in a good quality. Something that will stay in shape after washing (and mind you, I am not using any dryer), won’t expand like those many Made-in-Bangladesh clothes as found @ H&M & Zara and that’s still affordable. What’s the best shirt then? I hate to admit it, but I quite like these Ralph Lauren classic polo shirts because – if original – they’ll just be as solid as Barbour wax jackets. …baaad idea. What you see above are two RL polo shirts in size XL. The turquoise one is my old one, the black one on top is the “new” used one from eBay. Can you see the difference? Atiriiri…how am I supposed to cover my Tusker belly with such a short shaat? So, because I know I am not the only one out here with peculiar dressing habits, let me ask you: is there any brand out there you can recommend? Any polo shirts that will just remain in shape after the 20th washing and that come without any stupid logos or brandings? I know you folks from the USA will laugh about this, but there seems to be a difference between the clothes you can buy in Europe and those you’ll get in the US. Even if they are all made in some low cost countries.